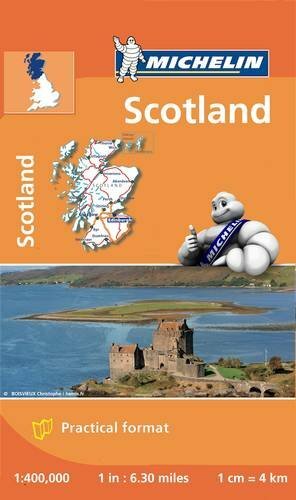 The new edition of Michelin Mini Map Scotland is convenient to use thanks to its double-sided pocket format. In addition of Michelin's clear and accurate mapping, Michelins road map of Scotland at 1:400,000 presented in a handy, double-sided pocket format. The map divides Scotland north/south with a small overlap between the two sides. Orkney and Shetland Islands are shown as insets. The map shows the road network on a base with relief shading, spot heights and plenty of names of glens and other geographical features. Ferry connections are marked but railways are not included.